Bo, our protagonist, is the grandson of Slovakian immigrants, and has been steeped in the tradition of those that came before him. His grandfather, Jozef, served in the trenches during World War I; Jozef’s son, Bo’s father, was imprisoned for desertion during World War II and then died in a hunting accident upon his return home. Bo’s grandparents and mother have raised him and his brother Sam, who is missing in action in Vietnam. 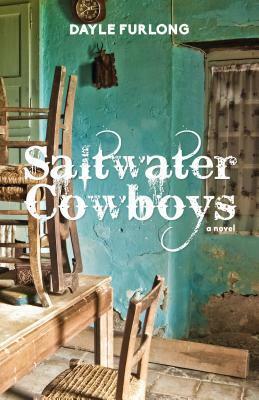 When Jozef dies, Bo is the last man left to carry on the family business and the traditions with which he was raised. The title of the book refers to the sign for which Agamemnon was to watch for news from Troy; the book is begun with the relevant quote from Aeschylus, an old friend in literature that I hadn’t visited in nearly 40 years. I tell you this not to intimidate you, because I think this text is accessible to most high school graduates that love good literature. No, I just want you to understand that this is a work of depth and quality…and also unending sorrow. Hannah, Bo’s mother, has been writing to the Navy twice each month for updates about the status of her missing son. Without a body, she doesn’t feel free to mourn; without a notification of death, she holds on to a tiny filament of hope that Sam may come marching home and surprise them all, any day now. Foremost in everyone’s minds is that Sam must not also be considered a deserter. Bo’s inheritance takes him in directions no one could have foreseen, and so although Krivak’s novel is indeed full of loss, it also shows us that hope can come from a direction never anticipated. The characters here are beautifully rendered, developed so subtly that we aren’t aware of it occurring until it’s accomplished. There are no heavy-handed devices such as diaries or extensive local gossip; we see who each person is by the things that they do, and just as in life, we know who they are not only by their words, but by their actions. Krivak never lets a stereotype embrace his characters or plot; the result is so genuine that I feel I am following a dear old friend through the narrative. Highly recommended for those that love historical fiction, as well as for anyone that needs an excuse to sit down and have a good cry. Sara comes all the way from Sweden to visit Amy, who lives in Broken Wheel, Iowa. When she arrives, she learns that Amy is dead, yet the townspeople ask her to stay anyway; in fact, they expect her to stay. And once she is there, Sara seems to belong to the town, like the last jigsaw puzzle piece being thumbed into place. She brings Hope to Broken Wheel, both figuratively and literally. And now I have to pause for a moment in order to acknowledge Net Galley and Sourcebooks for providing me with a galley to review, free of cost. This romantic beach read rates 3.5 stars by my reckoning, and I round those stars upward. I was greatly entertained. Sara doesn’t have a lot going on back home. She worked at a bookstore, but it closed. At first, upon arriving in Broken Wheel and finding that her host has died, she figures she should leave, but everyone insists that Amy knew she was dying and wanted Sara to use her house for two months nevertheless. They make is sound like a sacred bequest; also, without a volunteer to drive her to the airport, she is sort of stranded anyway. The icing on the cake comes when her parents order her home. What young woman wouldn’t stay right where she is in such circumstances, since she doesn’t need parental funds? Oh heck yes! The story evolves, developing multiple characters, the town itself, and of course, Sara. Multiple romances pop up. There are problems with pacing and the writing is uneven in its proficiency, but those problems are all within the first third of the book. Once the reader pushes past that point, I can guarantee you’ll want to finish the rest of it. A fun read, enjoyable for those looking for a fluffy, engrossing book to take on vacation or curl up with over a solitary weekend. When was the last time I read something this poignant? No, it’s more than poignant. This novel is a real powerhouse, and my heartfelt thanks go to Net Galley and Bloomsbury, USA for letting me read it as a DRC. It affected me to the extent that I needed to let it steep in my mind for a few days after I read it, before I could review it. That’s always a good sign. You see, Yasha has grown up without his mother, at least for most of his life. He, his father, and his mother all received much sought-after plane tickets to the USA from Russia. Not all were scheduled to depart at the same time, and not all of them did. And so Yasha and his father have lived above the bakery, and now and again they phone to see when Mama might be coming. It isn’t like she is dead or in jail. She just hasn’t come. She puts them off; she makes excuses. So Yasha helps his father run the bakery, rising early every day and jetting home from school promptly when the bell dismisses him. Season follows season,and year follows year;the loss grows deeper and stronger, as does his bond with his father, a flour-speckled, graying eccentric with the world’s kindest heart. His father is his life, and the place where his mother once was is a constant void. “No mother. No mother. No mother.” Unless you are made of brick or cement, you have to feel his pain. I think the narrative that alternates here, that of Frances, who is destined to meet Yasha, is supposed to be equal in force, but to me she is an also-ran. The book is really about Yasha, and I am fine with that. Frances also hails from a family that is coming unstuck; her parents have given her and her sister notice that they need to get out of the tiny Manhattan apartment in which they grew up, because they are going to separate. At the same time, Frances’s boyfriend, the man she loves so much that she has turned down a prestigious art fellowship in order to follow him to the ends of the earth, dumps her. Doesn’t even stay with her till she boards; he just leaves her there all by herself, hurt and stunned. He’s gone. Yasha and Frances will meet at the top of the world, or the nearest possible place. It’s in Norway, not far from where the Sami hunt reindeer. In the summer, the sun never goes down. Generally I am not a reader of romances. I am perhaps too cynical; I hear the violins starting up and slam the book shut. No schmaltz for me, thank you kindly. But once in awhile an amazing story comes along. Think of The Thornbirds; think of The Prince of Tides. 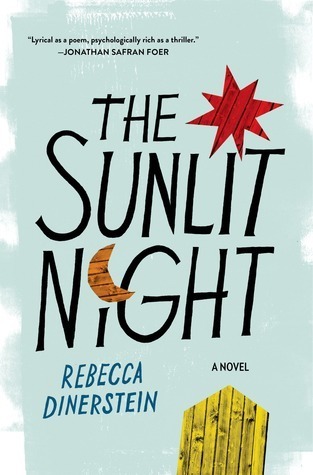 The Sunlit Night is such a story, an exceptional story for which rules were meant to be broken. It comes out in June, and you just have to read it. Don’t let yourself be left out. Lillian escapes a pogrom after seeing her husband and parents viciously murdered and her little girl has disappeared. She was told by a neighbor that her daughter had drowned in the river, and so she allowed herself to be herded onto a ship bound for New York. 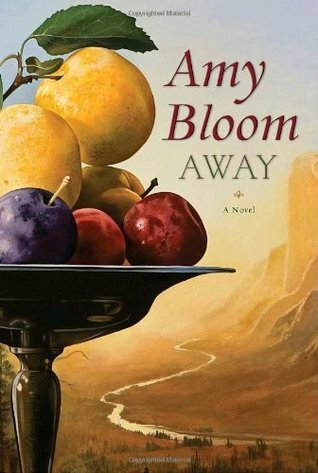 Away, strong historical fiction by Amy Bloom, is in turns poignant, fascinating, wry, and wrenching. It’s a great book, but it won’t lift your flagging spirits. However, a couple of amusing moments had a Keillor-like tug to them, and they kept the tone light enough to engage me. Things aren’t going all that well for Lillian, and maybe that is why, when a cousin arrives from the old country and tells her that her little girl is alive, Lillian makes plans to go get her. Nobody will give her boat fare, but a dear friend hatches an alternate plan: she can head west across North America, go north into Canada, and then island hop her way across the Bering Strait. It’s a terrible idea, but if it will bring Sophie back into Lillian’s waiting arms, she’ll do it. And so she’s off. Bloom is strongest when she is building characters and describing setting. By the time the book is over and done, Lillian is so real that even though I have half a dozen books I am also reading, I think of her fondly from time to time as one might when a good friend or much-loved relative that has been to visit and then gone home again. That said, I didn’t like it as well as her most recent work, Lucky Us, reviewed earlier and available in my archives. But that is faint condemnation, because the latter was one of the best works of fiction I have ever read. If you like well written three-hanky stories and excellent historical fiction, you can’t go wrong with Bloom. If your pockets aren’t deep enough for impulsive book buying, check your public library; it’s where I found my copy. This is a bittersweet story about quirky yet ordinary characters in a little out-of-the-way place in Oklahoma. The point of view swings from one perspective to another. MollyO is protective of the cafe’s owner, a complicated man who was rendered paraplegic in Vietnam. She longs for her daughter, Brenda, a runaway, to come home and stay. Bui is living covertly in a nearby church. He comes to work at the cafe. I watched this character unfold particularly carefully. I live in an area where there are a lot of Vietnamese immigrants, and I watched for stereotyping or assumptions on the part of the writer. In the end, though, Bui rang true to me, an endearingly familiar sounding man with a really good heart. And then the list continues. I don’t like small towns; I prefer large northern metropolitan cities. I do like to read novels featuring working class protagonists, though, and I think it was this feature, believably rendered without undue sentimentality, that worked for me. 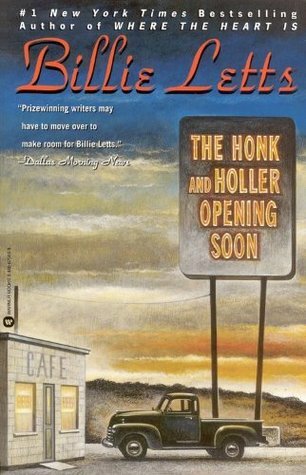 I have older family members who lived in Oklahoma before I was born, and this novel evoked a strong pull on them, a sense of place nearly tangible to them. If four and a half stars were possible, I’d give them here. Read it if you enjoy good fiction with strongly drawn characters. Native Speaker has been praised by the most prestigious periodicals, from New York to London to Los Angeles, and yet, though it has won a number of awards, I had not heard of it until I found it in a special award-winners area of Powell’s City of Books, when I made my annual pilgrimage to my old hometown and my old bookstore this summer. Perhaps I first found him there because he teaches at the U of Oregon; or perhaps it is because Powell’s is the only brick-and-mortar bookstore I frequent anymore. At any rate, this book was a real find. Henry is having problems with his work. He is supposed to insinuate himself into the lives of individuals who may be working against the interests of one client or another, find out all he can about them, develop a psychological profile. To do this, he has to pretend to become emotionally attached to them, and in some cases make them dependent upon him; then he files his final report on them and disappears from their lives. His most recent subject was a psychologist named Luzan. He saw Luzan regularly, began telling him things he had never told anyone. What with his problematic relationship with his father, now deceased, and the accidental death of his beloved son, his only child, and his marital problems…the man actually needs a psychologist, and in the end the firm has to muscle their way into the shrink’s office and physically remove Henry from his subject in order to break the connection. Now they have thrown him a really easy job to get him back into shape. He is supposed to cover and report on a politician, John Kwang. There is the Korean connection, which makes him a shoo-in; he begins by posing as a freelance journalist, but becomes more and more involved as a member of the campaign staff. His reports become scantier and fewer as he adopts Kwang as the father he never really had. 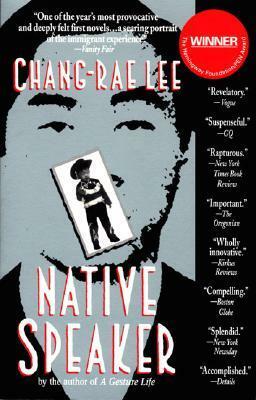 Beautifully interwoven throughout Lee’s narrative are the cultural understandings between those of Korean ancestry; the conflicts that arise between first and second generations in the US; the racist assumptions, stereotypes, and miscommunications between Koreans and Caucasians, whom he pointedly refers to as “Americans”. Black people are just Black, but white folks are “Americans”. Park is still in love with his “American” wife, but she recently figured out what he does for a living, and she isn’t sure she can live with it. His plan is to finish this assignment, he tells her, and then he’ll get out, go do something else. There is such grace and care in Lee’s story-telling, both in what is said, and in what is not. I’ve never read anything like it. And one thing I really appreciate is that without overtly saying so, he lets us know that there is no such thing as an Asian-American. A certain skin tone, a fold at the outside of the eyelid, these are superficial things that don’t speak to culture, to language, to expectations. I also really appreciated the way he dealt with the hostility between Korean small shop owners and their African-American neighbors and customers, and the historical reality to which he deftly traces back, without ever stepping away from the central storyline. Native Speaker is unlike anything else I have ever read. It doesn’t even have a genre, unless we drop it into the “Asian studies” category that his story demonstrates is artificial in any case. It’s a thoughtful, deep story, yet it is not hyperliterate or particularly lengthy. It’s there for anyone who will take the time to read it. A worthy and thought-provoking journey.